Our March, 2015 meeting was held at Clare Oaks in Bartlett. We helped the residents make Spring/Easter arrangements. 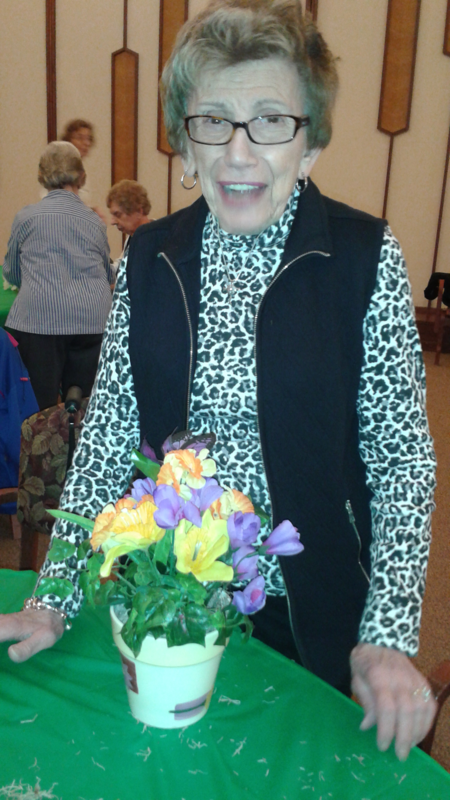 Sue Swartz, one of our members, shared this picture of the arrangement her partner, Betty, put together.